*The featured picture you see is a display of several Octopodes (plural of Octopus, who knew?) 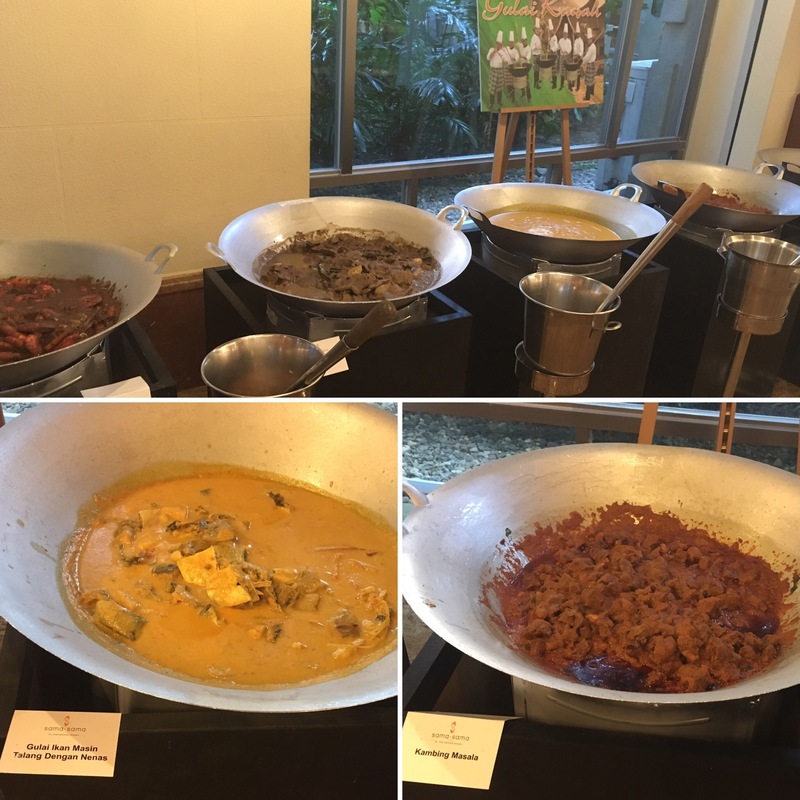 that I saw at the buffet area of the restaurant Contango, at The Majestic Hotel Kuala Lumpur. I am back! After a wonderful 2 weeks away, I am here to show you a compilation of a few pictures of food that I have managed to eat while I was away on holiday. Inspiration galore – there are a few things here that I am keen to try to attempt at home. Call it an incentive for me to cook for the blog more than I do now. Time has been in short supply lately for me. No more excuses! 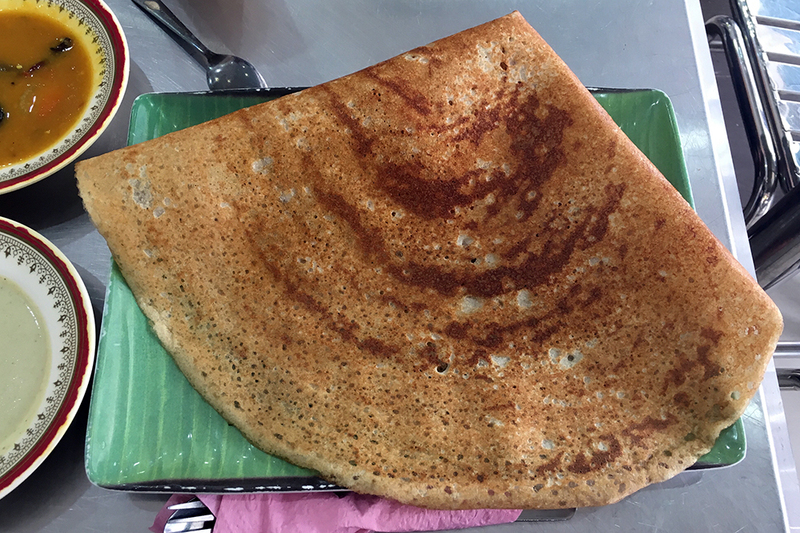 My absolute favourite – the Thosai (or Dosa as it is written in many places, pictured above). It’s batter is made of rice and urad beans, and then fermented. As my good friend Giannis said – it’s a type of savoury crêpe/pancake. I have no idea how to make this at home – but I will try it soon enough. Who wants to be my food taster/guinea pig/test subject? 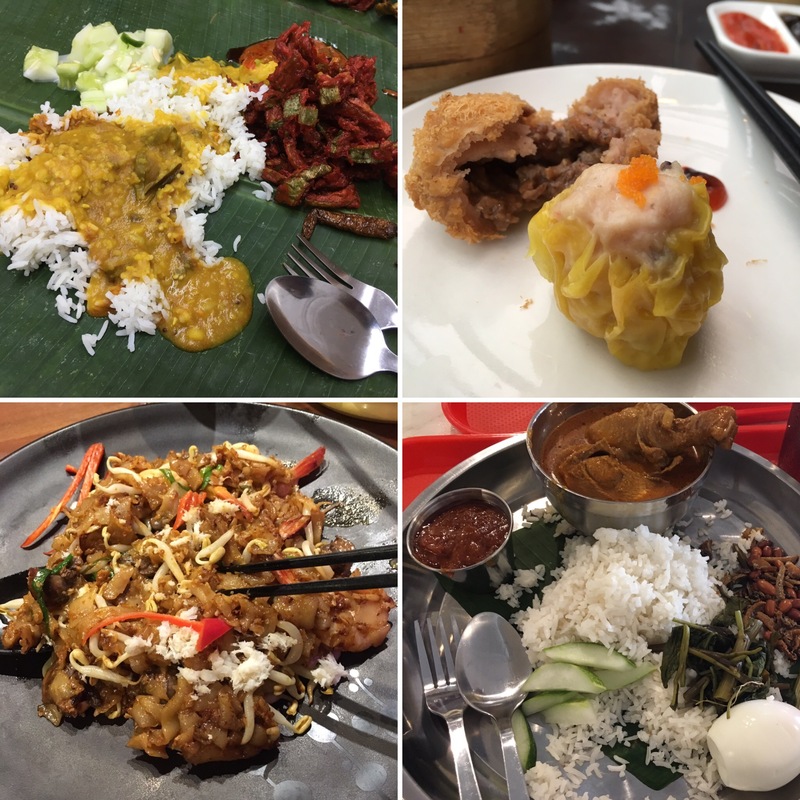 Of course, my trip back home to the #landofmybirth wouldn’t be complete without Banana Leaf Rice (Top-Left), Dim Sum (Top-Right), Char Kuey Teow (Bottom-Left) and (Bottom-Right) Nasi Lemak – with Kapitan Curry that I will attempt to make one of these days. It’s a Nyonya Peranakan stew, that is very fragrant and tasty. 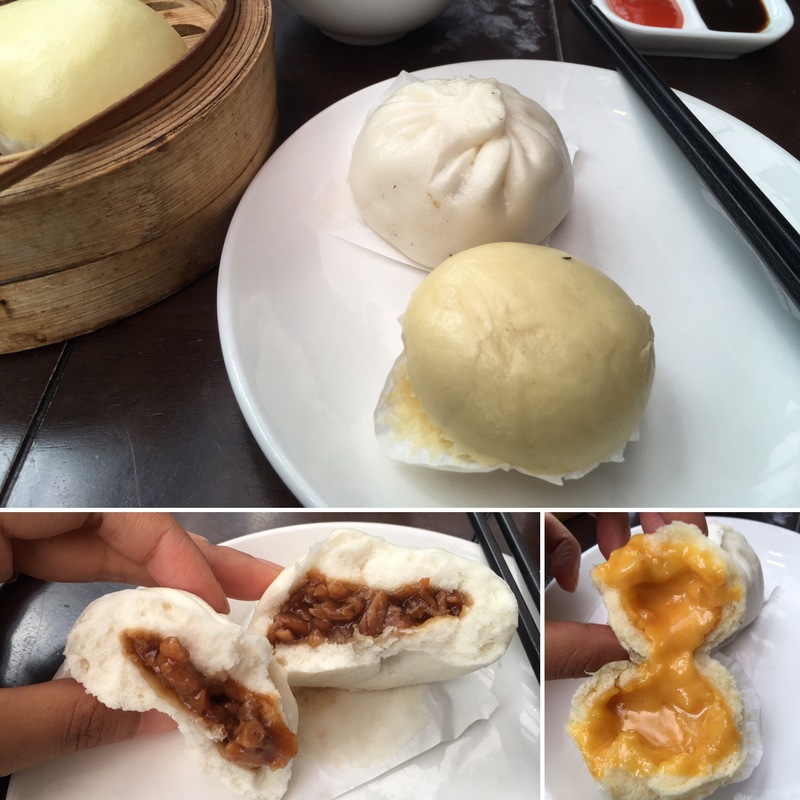 Talking about Dim Sum, I went to Dolly’s with my brother and sister, and I had the most wonderful Pau (Steamed Buns – or Bao, to some people) that I have ever tasted. The Salted Egg Custard Pau (Bottom-Right) is the one that I fell in love with, so, look out for future salted egg recipes. The other Pao was a rather nice Roasted BBQ Pau, rich in Hoisin sauce. We also had Siew Mai and Har Gao (Prawn and Chicken steamed dumplings) and Yam Croquette while we were there. It was Raya (Hari Raya Aidilfitri or Eid) and it was the time for traditional food. 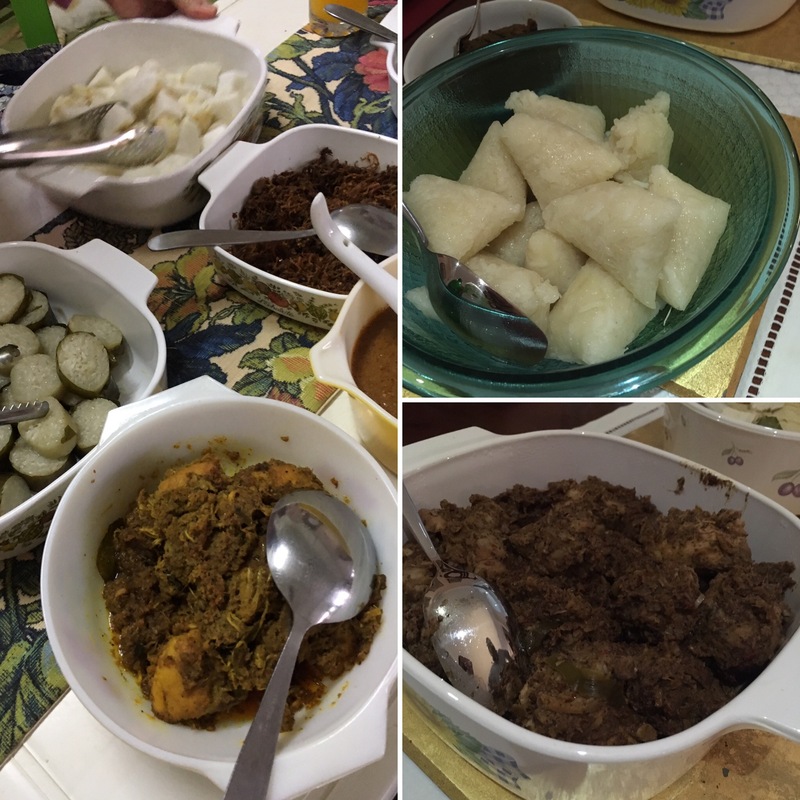 Different types of rendang – chicken, beef, offal… Glutinous rice cooked in coconut milk like lemang (rice cooked in bamboo with coconut milk) and nasi daun palas (rice cakes cooked in coconut mlik) and nasi impit (more rice.. but this time not cooked in coconut milk)…. Also served was a variety of cookies and cakes, and I will feature here one of these days, a recipe for a cake that has a rather interesting story behind it – family history and everything in between. 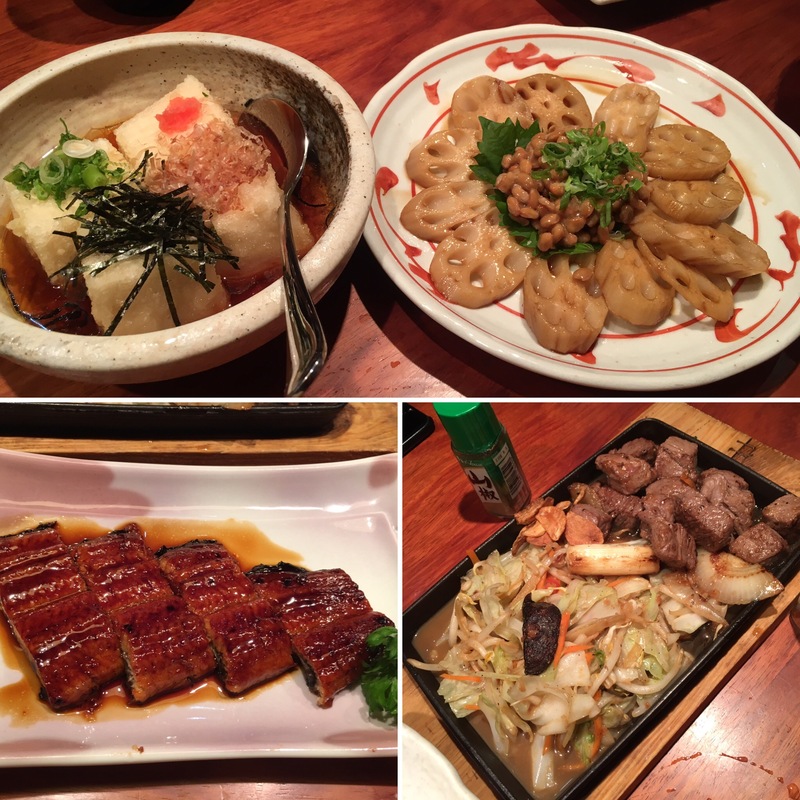 And of course the Japanese Dinner. Post-Eid food that is light, after the heavy rendangs and lemangs and everything rich. 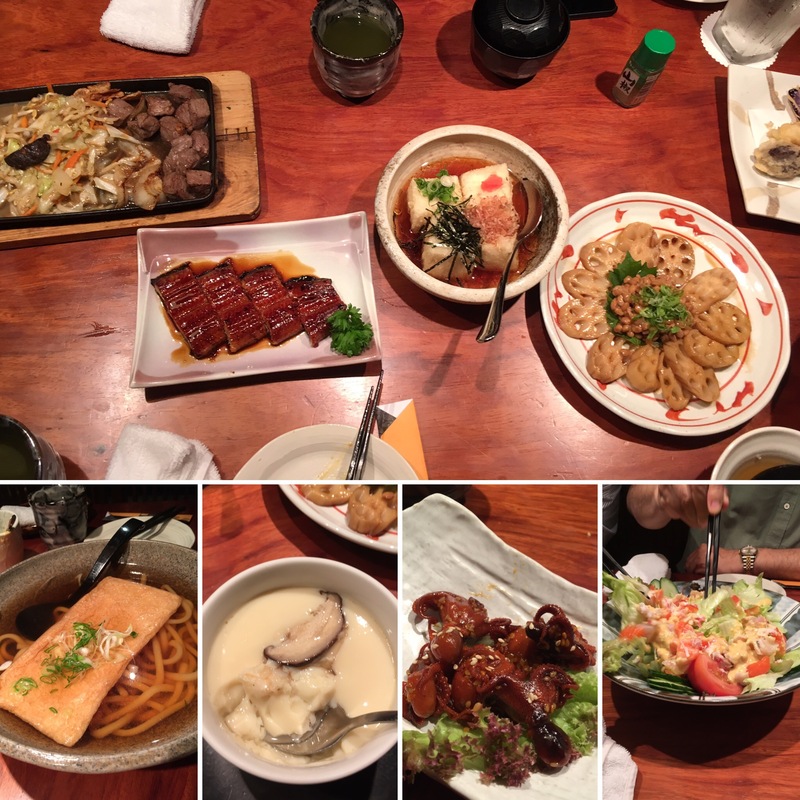 We had Agedashi Tofu (Fried Soft Tofu), Lotus Root with Natto (Natto is Fermented Soybeans), Unagi (Freshwater Eel, grilled), Beef Teppanyaki, Udon (Noodle Soup), Chawan Mushi (Steamed Savoury Egg Custard), Ajitsuke Iidako (Seasoned Baby Octopus) and a Sashimi Seafood Salad, among others. 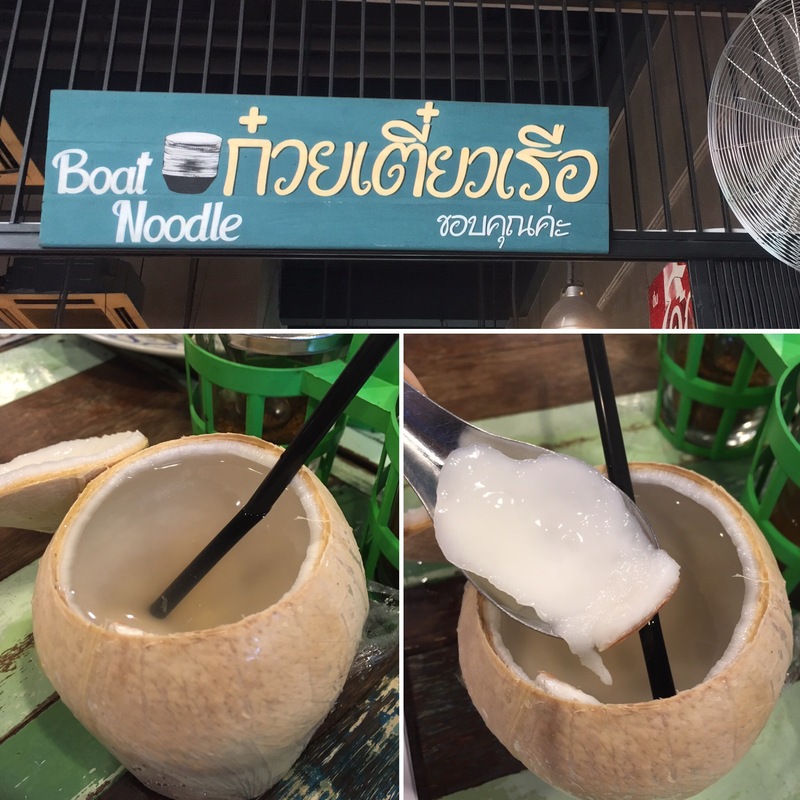 Boat Noodle at Heritage Lane, Damansara Perdana. This place is just around the corner of our house. It’s based on the concept of the small floating boats that sell noodles on the river in Bangkok. I love the idea that you have these small bowls of noodles (egg or rice) in hot broth (choice of spicy or sweet and sour) and the meat of your choice (chicken or beef). You can then garnish it with fried shallots and fish sauce or soy to taste. I loved it. 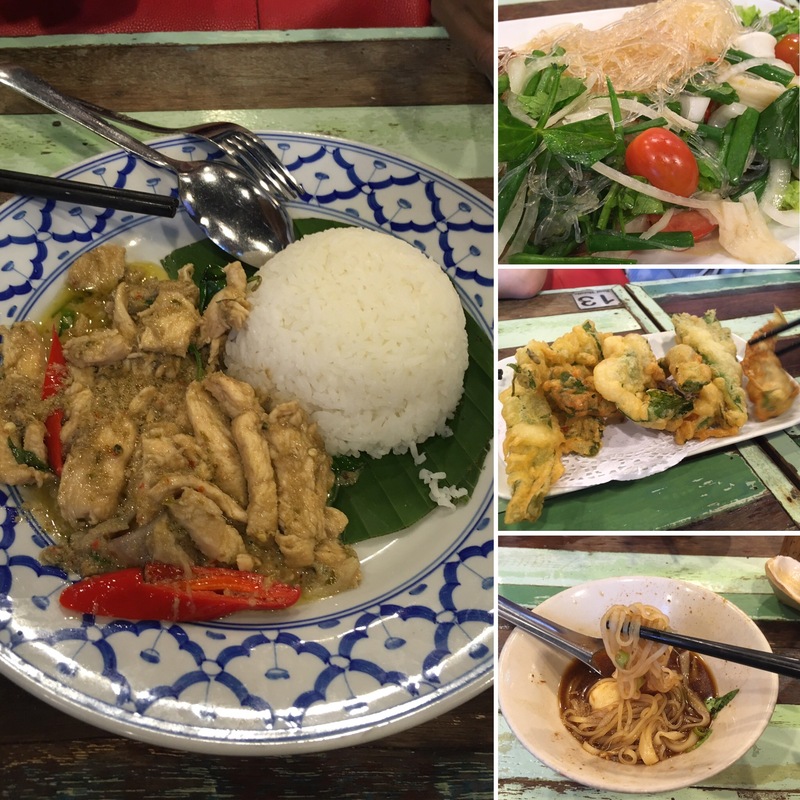 Other than the ‘boat noodles’ you also have a choice of salads (kerabu-style), or the Thai Green Chicken Curry (whoah super spicy! ), Thai Chicken Basil and my favourite, a unique variation of the Japanese tempura where they deep-fried Kangkung in batter. And of course, the meal wouldn’t be complete without fresh coconut water. 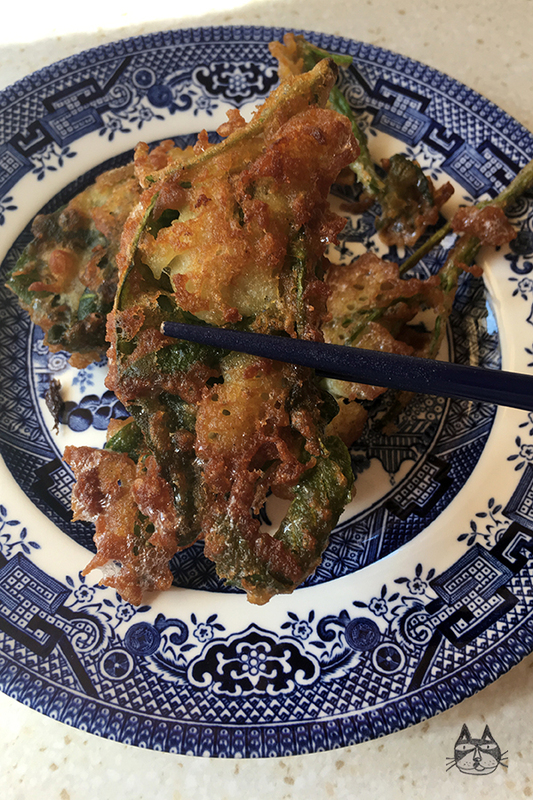 UPDATE: I made Kangkung Tempura! Attempt number 1. Look out for the post on Vegetable Tempura, coming soon! 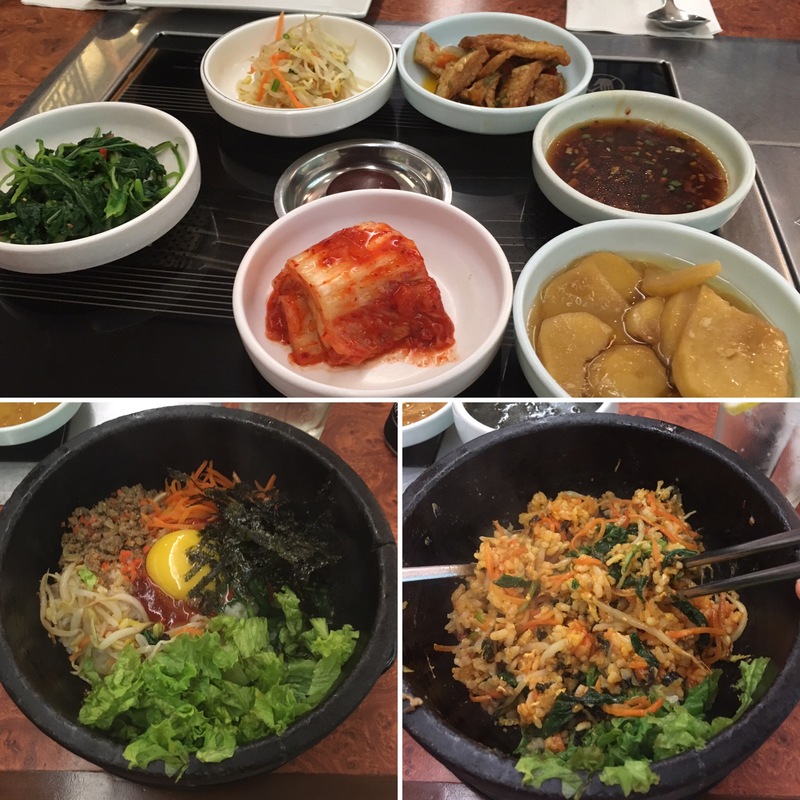 This trip back, I managed to eat at a Korean restaurant in KLCC, and decided to try the famous Dolsot Bibimbap. I have tried a normal Bibimbap before (and made a simple recipe post too), and loved it, but this version, the food is served in a heavy and hot stone bowl. You stir the food in the hot bowl before eating. A very tasty dish, and I loved the little vegetable meze-like or tapas-style appetizers that they serve (and keep refilling!) even before you have ordered anything to eat. The kimchi was exquisite. Maybe I’ll attempt to make homemade kimchi one of these days. Managed to have dinner at Aseana Cafe with my good friends Marini and Azim one night (and my sister!) and we went crazy ordering a variety of the wonderful food that you can find at the café. 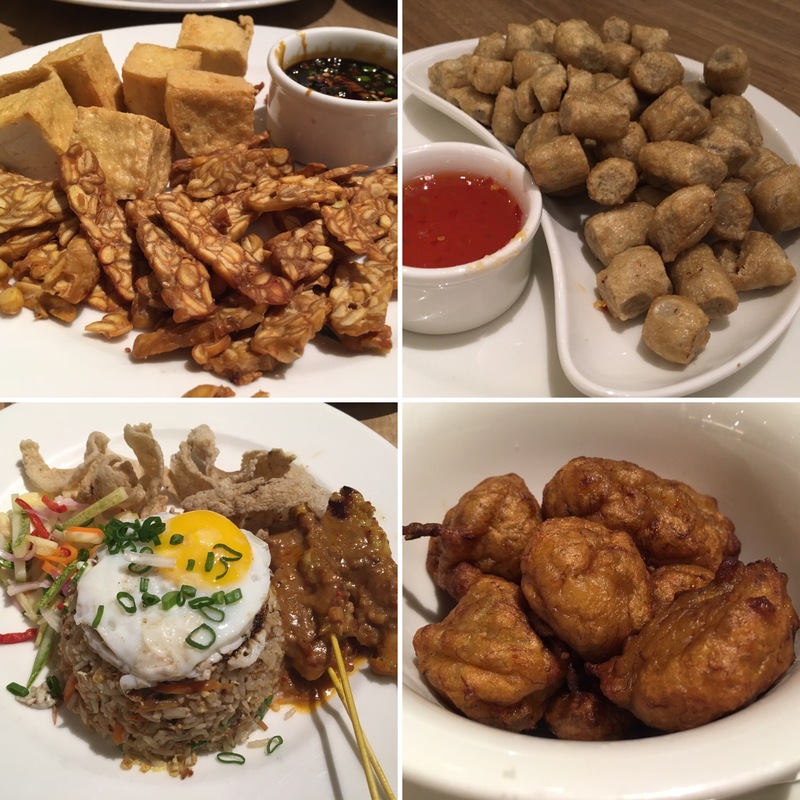 We had the (Top-Left) Fried Tofu and Tempeh and (Top-Right) Keropok Lekor (Fish sausage fritters) for starters. I had the Nasi Goreng Kerabu served with Satay (Bottom-Left) and we also had Cekodok Pisang (Fried Banana Fritters) as a snack/dessert. Look out for the Banana Cekodok recipe, coming up soon! I also managed to have lunch at a wonderful place called Puteri in TTDI, that serves traditional Malay food. 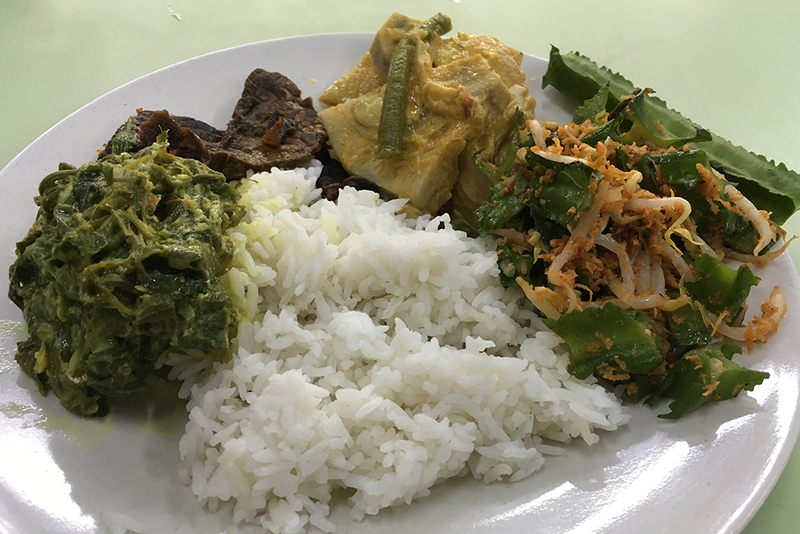 The food was incredibly tasty – I had Jackfruit and Tripe cooked in Spicy Coconut Milk, Fried Cows Lung, a Kerabu Salad with Bean Sprouts and Winged Bean (Kacang Botol) and Pucuk Paku in Spicy Coconut Milk (Vegetable Fern). This restaurant also serves Fried Catfish, and many curries and stews that you can only imagine. I will most certainly make it a frequent stop during my next trip home. 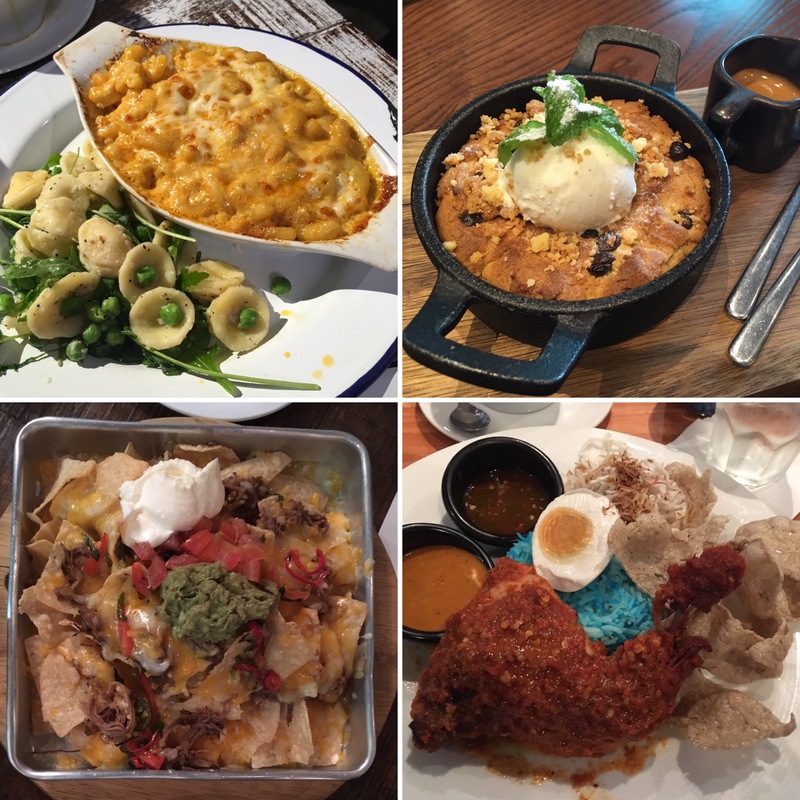 Clockwise from Top-Left: Macaroni & Cheese from Ben’s at Publika. Cookie Dough Espresso Dessert from Yesterday at SS15 Courtyard. Nasi Kerabu Ayam Percik from The Apartment at The Curve. Ranchero Beef Nachos from The Bee at Jaya One. 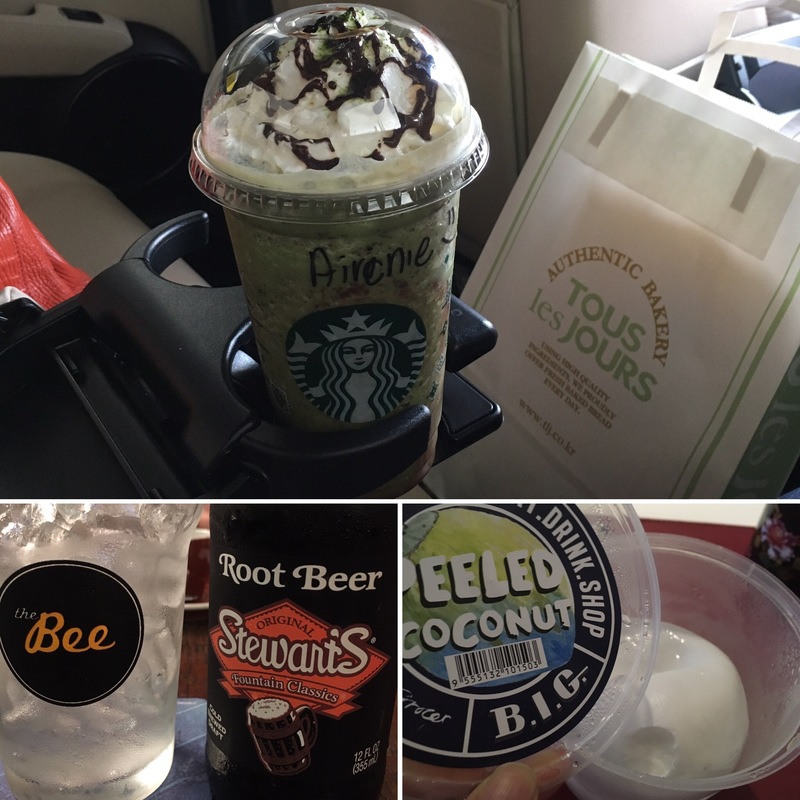 Starbucks Green Tea & Chocolate Frappucino; Root Beer from The Bee, and a Fresh Peeled Coconut and Coconut Water from Ben’s. The girl at Starbucks finally got my name right! (kinda.) Woe is me. I wonder when anyone will ever get my name right without me having to spell it out for them #firstworldproblems. First Starbucks barista that gets it right, I owe you dinner. Last, but not least, is the picture of my sister’s birthday cake. It was her birthday on the 6th of July. 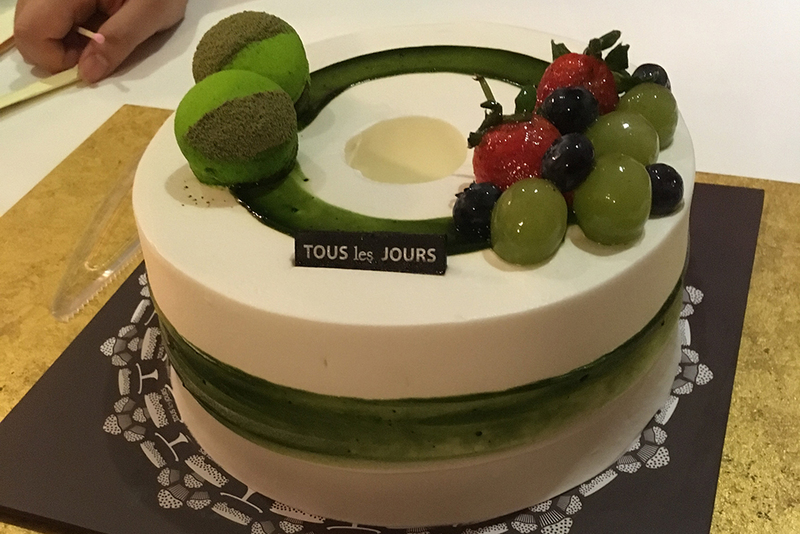 This cake is from Tous Les Jours – a Korean pâtisserie, emulating a Japanese pâtisserie, emulating a French pâtisserie. 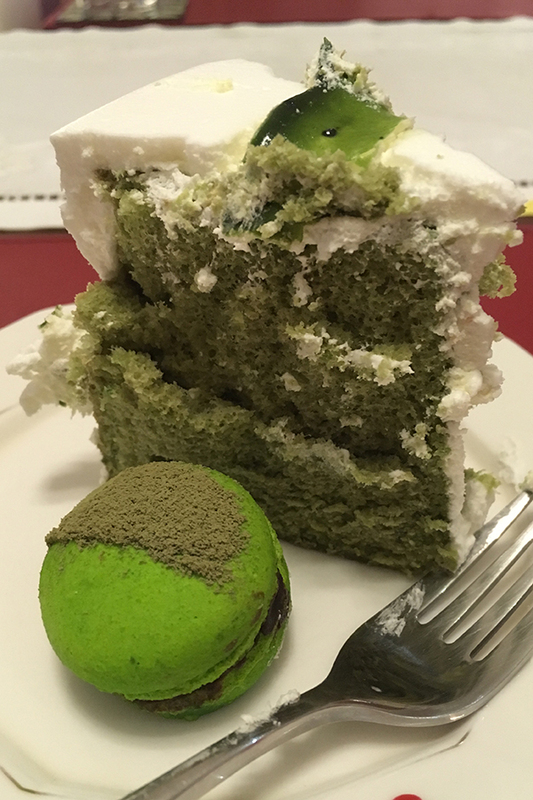 I have to say though, that the Green Tea Chiffon Cake was marvelous. So soft and airy, and I absolutely adored the decoration. I have to say that this will be my next port of call. I have a good friend whose birthday is coming up soon! Ready to bake? Look out for my future posts! Thank you! Hopefully you have enjoyed feasting your eyes on the wonderful pictures as much as I have enjoyed eating them!